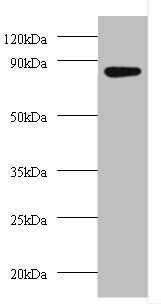 AFG3L2 is a protein localized in mitochondria and closely related to paraplegin. The paraplegin gene is responsible for an autosomal recessive form of hereditary spastic paraplegia. AFG3L2 is a candidate gene for other hereditary spastic paraplegias or neurodegenerative disorders and is a putative ATP dependent protease. 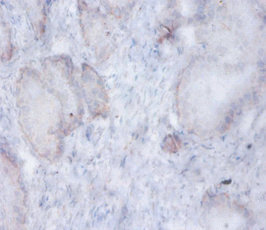 AFG3L2 Polyclonal Antibody. Unconjugated. Raised in: Rabbit.